Say goodbye to manual cleaning. 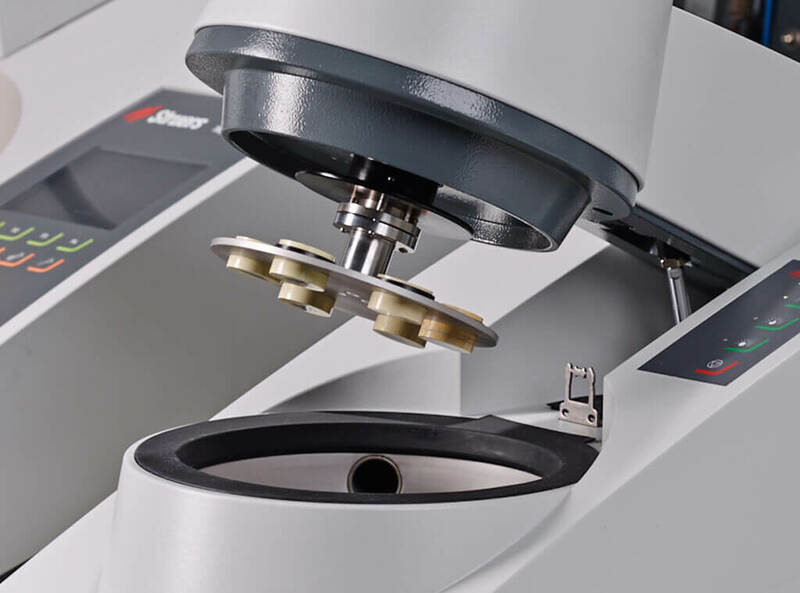 Lavamin is an innovative, stand-alone cleaning unit for specimens in Struers specimen holders and mover plates up to 160 mm in diameter. Conventional specimen preparation demands a time-consuming manual cleaning process between preparation steps. Lavamin is a fully automatic cleaning unit that frees the user from standing at the sink, cleaning specimens with soap, flushing them with alcohol, and drying them. The unit takes up very little space and can be installed in just five minutes. 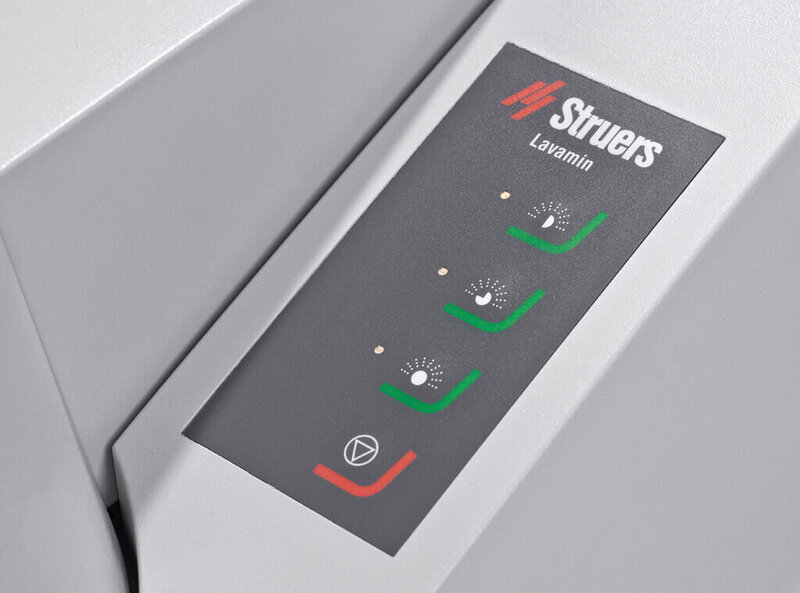 Lavamin uses a patent-pending and automated process with a combination of ultrasound and water rinsing, followed by high-speed spin drying. A choice of three programs enables the user to choose the best procedure, depending on the grinding or polishing process, to achieve a perfect result every time. The fully automated cleaning process saves up to 20 percent of the total preparation time and eliminates the need to move specimens to the sink for manual cleaning. This leaves time to change the preparation surface and be ready for the next step in the preparation cycle. 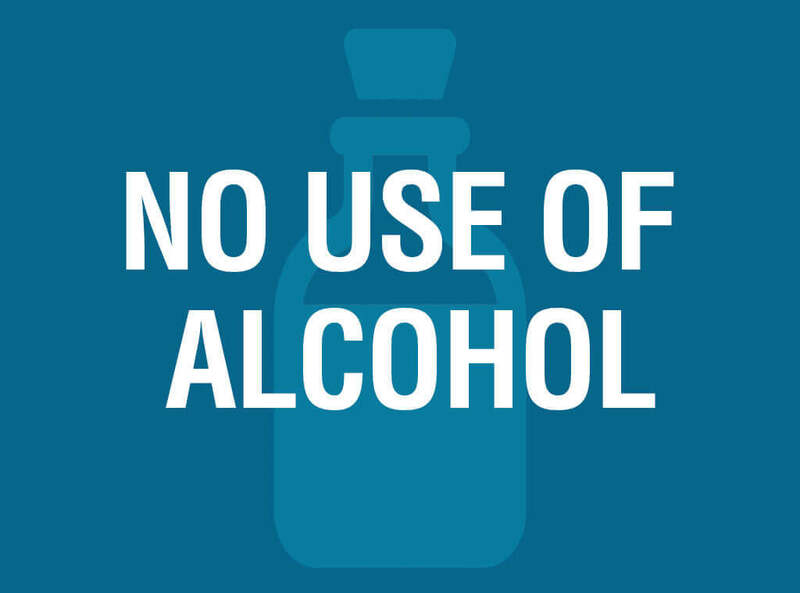 A careful rinsing process using only ultrasound and water, followed by high-speed spinning, enables fully effective cleaning without the use of cleaning agents and alcohol. 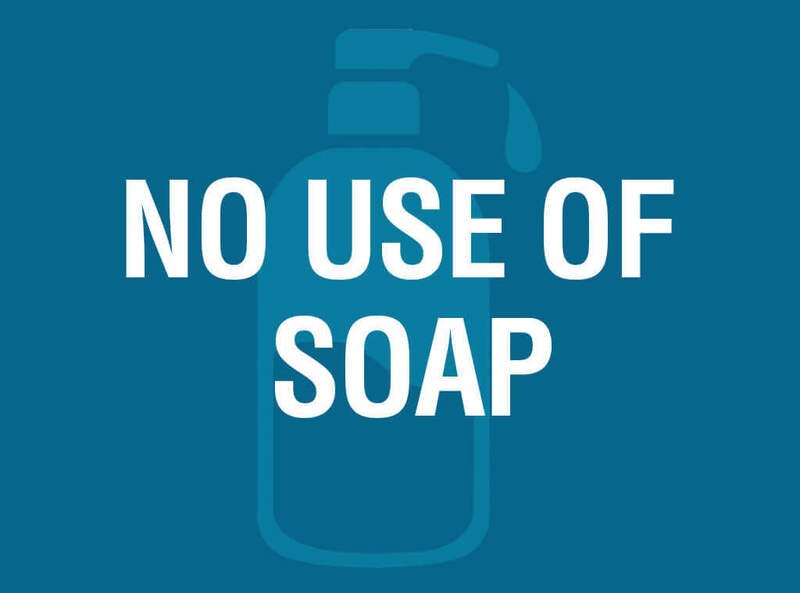 Users are spared from the effects of soap and alcohol, while the environmental impact of cleaning is minimized. Specimen cleaning unit for cleaning of specimen holders up to 160 mm dia. and for individual specimens in specimen mover plates for Tegramin-25, -30, TegraForce-5, and RotoForce-4. Levelling unit, retention rings in 25 mm / 1.0", 30 mm / 1.0", 40 mm / 1.0", and 50 mm / 2.0" dia., and rubber mats are included.